Just how traditional do you want your kendo? 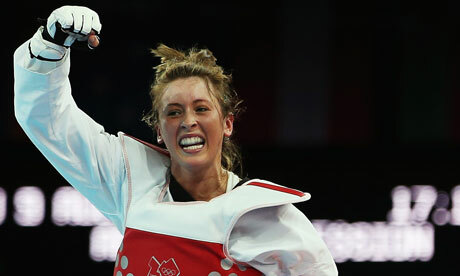 My recent kendo in or out of the Olympics poll produced an 80/20 vote in favour of out, against the 60/40 out at the time of the last Olympics. The poll and accompanying article also stimulated some well thought out comments which fell predominantly into the “out” camp. On the evidence of this poll, and although as a former marketer I have learned never to trust surveys, I have leapt to the assumption that 80 per cent of us want to retain at least some of the traditions of kendo. I suspect though that there are many variations of understanding of what constitutes “traditional kendo”. I have had a number of people tell me that “my dojo does traditional kendo”, explaining that they only practice big cuts, or that they avoid taking part in shiai. On the other hand I have been in many dojo in Japan, including the Imperial Palace’s Sainekan and the old Noma Dojo, where despite centuries of tradition, the kendo you see is effective modern competitive kendo. Anyone who has read Alex Bennett’s excellent book, Kendo, Culture of the Sword can see how kendo has adapted tradition through the ages, moving from the warriors art of medieval Japan to the reflection of samurai aesthetics in the Edo period, before becoming little more than street theatre when the samurai were dissolved. Kendo’s emergence into the early 20th Century was then blighted by being adopted by the ultra-nationalist cause. To me this means training to reach a level where you can make effective strikes without thinking and at the same time treating your opponents, seniors, juniors and teachers with courtesy and respect. 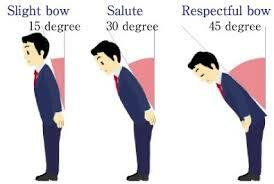 Kendo’s traditional system of reigi seems to provide a perfect framework to achieve this objective. There are many Japanese sword arts and I can see the value of learning Iai or trying tameshigiri as an added extra is a great idea, but to my mind trying kesa-giri in your kendo keiko, or practising to be the perfect kaishakunin is taking tradition a step too far. Why do we use Japanese in kendo? A colleague who trains in Brazillian Jujutsu showed me an on-line video of the sport. I could not but notice the similarity to Judo, although I am told that the groundwork differs but that the throws are almost identical. Having done Judo in the past I know many of these techniques only by their Japanese names and my friend referred to them by their English tags. He did not go into detail but I presume the original language used is Portuguese and that the countries where it is practised use their own terms. This made me reflect on the fact that in kendo we use Japanese on a scale that followers of other martial arts would find difficult to justify. Not only do we have imported labels for the techniques, but all dojo and shiai commands are in Japanese. The courtesies we observe before and after practice are in Japanese and many kenshi have a vocabulary that extends to social conversation. There are obvious advantages to the use of a single language amongst an international population. We can travel to countries where we do not share a common language and still understand the instructions given in a training session. The downside is that as beginner as well as having to learn to make your body do things that it has never done before, you have to learn a new vocabulary. The official languages of kendo are Japanese and English and when we attend Europe Zone Referee Seminars, translation is provided from the former to the latter, we then usually have numerous side conversations to ensure that whatever message is being delivered is understood by those who are not fluent in English. My guess however is that nearly as many people understand the Japanese instruction as the English translation. I personally like the fact that we use Japanese for kendo. Initially I found it part of the attraction as it made kendo seem exotic. Then having spent time living in Japan and using the language I realised that the meanings of technique names and commands are fairly mundane – “mask, glove, trunk, stop, start, thank you very much”; they do not sound nearly as grand in English. If we did revert to our own languages, international competition would be interesting. In the shiai-jo with a Spanish opponent and a German referee, should you shout glove, or guante, or handschu or all three when you make a kote attack? Kakegoe too would become interesting. When we make these initial shouts before attacking, although without meaning, they are usually modelled on Japanese sounds. I have a fear that in moving to English these would become more like the “sledging” insults used in English cricket to put the opponent off his stroke. Standing up from sonkyo to taunts about my body shape or my opponent’s relationship with my wife does not seem like an ideal start to a good kendo tachiai. It might not be ideal for everyone but I suggest that for the time being we keep the ZNKR’s dictionary of kendo terms in the bogu bag. My second book comes out on September 2nd. Its title is “Kendo, Inherited Wisdom and Personal Reflections”, ISBN 978-1-78133-058-6 and both Kindle and Paperback versions should be available from Amazon.com and Amazon.co.uk. Unlike Kendo, a Comprehensive Guide, this is not an instruction manual, but a selection of 52 of the most popular posts from my blog www.kendoinfo.net. 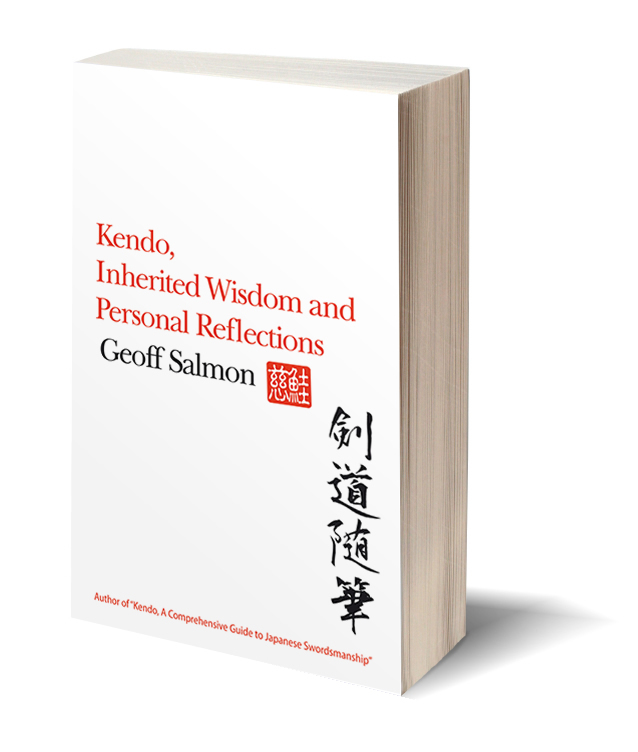 It takes a reflective look at a range of kendo topics with the aim of stimulating thought and discussion. It covers kendo training methods and techniques, as well as the attitudes and philosophies that make kendo a lifetime’s pursuit for many of us. I have also highlighted some of the differences between kendo training in Japan and other parts of the globe and included some light-hearted commentary on the amusing elements of our sport. 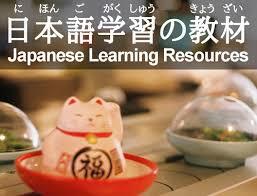 As the title suggests, much of the content of this book has been inspired by some of the great Japanese teachers. In several cases I have used direct translations of their teachings. Many of the articles were originally written for my own benefit and I have regularly referred to them to clarify my thoughts or to help me break through one of the many “walls” that we face in kendo . You can find out more on https://www.facebook.com/inheritedwisdom . Last Saturday was the 5th birthday of this blog. Over the last five years I have shared 273 posts, received over 1200 comments and seen monthly visits move from the low hundreds to regular totals of over 15,000. I have learned that my readers are most interested in comment on major shiai, the thoughts of famous sensei and notes on technique and training. This feedback has very much influenced recent content and has given me the encouragement to write “Kendo, A Comprehensive Guide to Japanese Swordsmanship” which was published by Tuttle Publishing a few months ago. Producing a detailed instruction guide is very different to the less restrained experience of blogging and I owe a debt of gratitude to Katsuya Masagaki for the numerous precise illustrations he produced for the book. Rather than leaving me to use ad-hoc photographs, he drew to reflect my words and in some cases I rewrote to reflect his drawings. It’s difficult to see past people’s politeness, but the few reviews we have had on-line and face-to-face comments I have heard, lead me to believe that the book has been fairly well received. I am still highly enthusiastic about writing what has now become a regular weekly blog post. I find that my own keiko, teaching in the dojo and refereeing are enhanced by sitting down at a keyboard once a week and trying to structure my thoughts on some element of kendo. The subsequent response I get from reader’s comments then often gives me a new perspective to take back to the dojo. 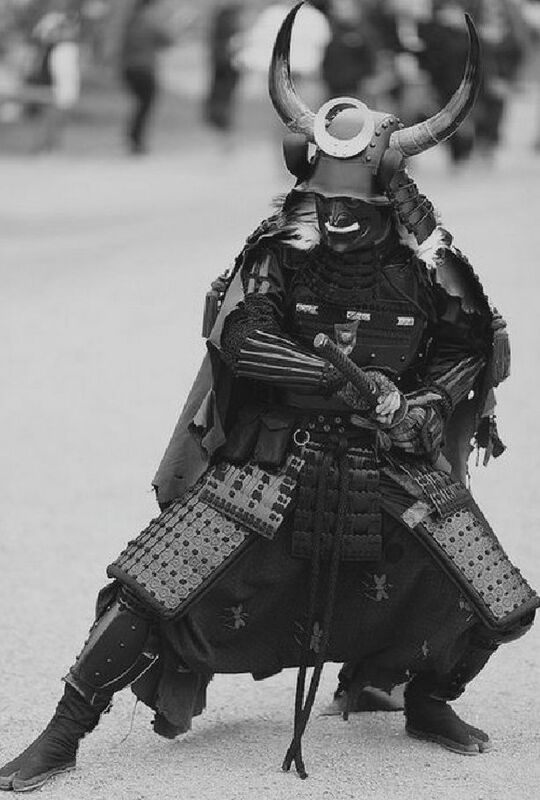 I occasionally let my dubious sense of humour run away with me and have produced the occasional good natured rant about a variety of kendo connected topics such as the relationship between kendo and Iai, the misuse of Japanese names for dojo and choosing to call one’s-self sensei. I appreciate that the person most amused by these diatribes is me, so thank you all for humouring me. Future plans are for more of the same. I intend to keep posting until I either run out of ideas or the stats page flat-lines. I am also planning to release another book in September. This will be more reflective than “Kendo, a Comprehensive Guide” and will be based on the most popular posts since www.kendoinfo.net was first started. Thank you all for supporting me over the past five years. Having had some holiday down-time to reflect about my kendo year and to think about 2013 now seems a good time to tell readers about my book, which is due out at the beginning of April. Writing a detailed kendo instruction book is something that I have wanted to do for many years and thanks to Tuttle Publishing I have been given the opportunity to do this. Although the book will appear in 2013, I actually wrote the first draft in 2011. The production process has been a long haul, and much debate has taken place with the publishers. Nevertheless, they have indulged me by printing the book exactly as I envisaged it. We made some compromise on title choice, but they are the marketing experts. The final cover design is still in the finishing stages but I have shown the “working cover”. This book is written to appeal equally to the kendo curious and experienced players. It covers most aspects of kendo from choosing equipment, to reigi and terminology. Most importantly, I have tried to demonstrate techniques and training methods in detail. What makes this book unusual, is that rather than explaining theory and philosophy in separate sections and dealing with waza on a purely physical level, I have described the “why and how” of techniques at the same time. I was inspired to do it this way by the instruction I received from Matsumoto Toshio hanshi whose motto was “Kenri” referring to the combination of the theory and the physical action of kendo. The other key feature is the detail of illustration. I was fortunate to enlist the help of Katsuya Massagaki, who as well as holding 5th Dan in kendo, has a Master’s degree from St Martins School of Art. Katsuya has used a mixture of hand drawings and computer aided design to show each technique frame by frame. We also included quite a few figure drawings to demonstrate details of balance and posture. Tuttle allowed us to set the illustrations within the text, so there is no need to flick from page to page comparing words and pictures. “Kendo, The Comprehensive Guide to Japanese Swordsmanship” (ISBN-10: 4805312319) is already available for pre-order on Amazon, Barnes and Noble and a number of other online booksellers. It will hit the shops in April. So if you are contemplating buying your favourite kendoka an Easter present. Please take a look. As this is my last post of 2012, may I thank everyone who has followed and supported this blog and wish you all a very happy and successful 2013.